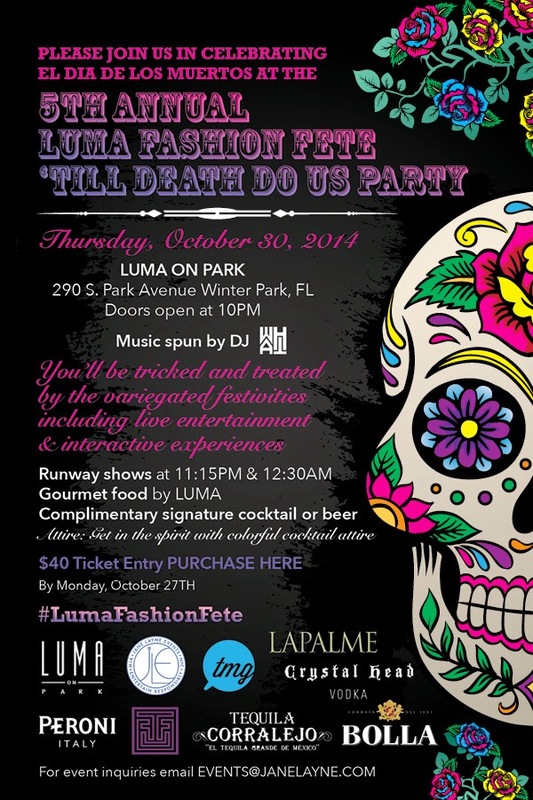 Luma on Park: Thursday, October 30, 2014 - 5th Annual Luma Fashion Fete 'Till Death Do Us Party! Thursday, October 30, 2014 - 5th Annual Luma Fashion Fete 'Till Death Do Us Party! as well as local designers and fall fashion.